This proprietary SpecRide Bushing Replacement Kit provides superior performance and durability for your 25470/25480 Toyota Adjustable Control arms. Each kit contains 4 SpecRide bushings with free moving pivot sleeves designed to survive the toughest environments and extended travel suspensions. 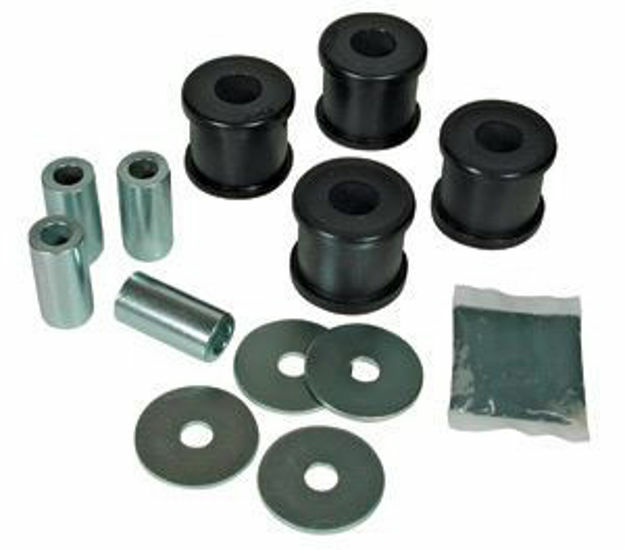 SpecRide bushings provide noise and vibration control and are resistant to oil, ozone, and alkaline conditions.